Another project I have finished are these fabulous bed socks for Miss K.
I've left lots of growing room. 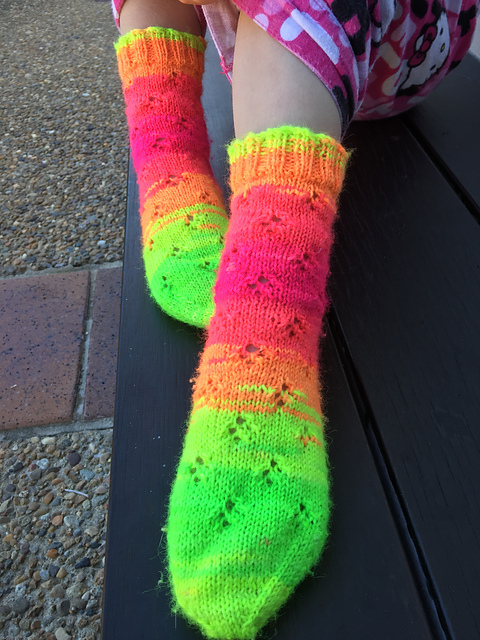 Both of my Kids love wearing knitted socks to bed through winter and are very quick to suggest that all my best yarn so be on their feet. The pattern is called Socks for Little Witches and is really well written (and free).